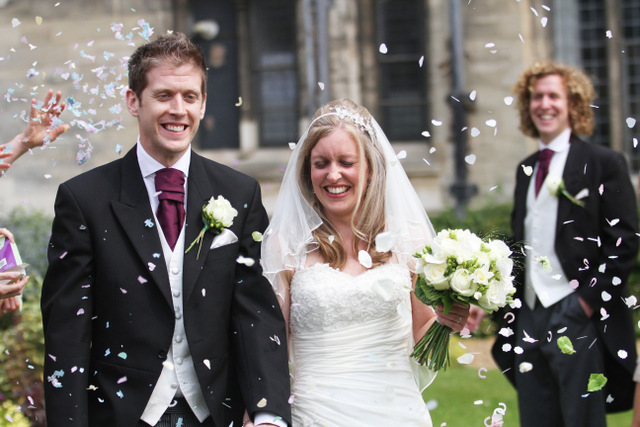 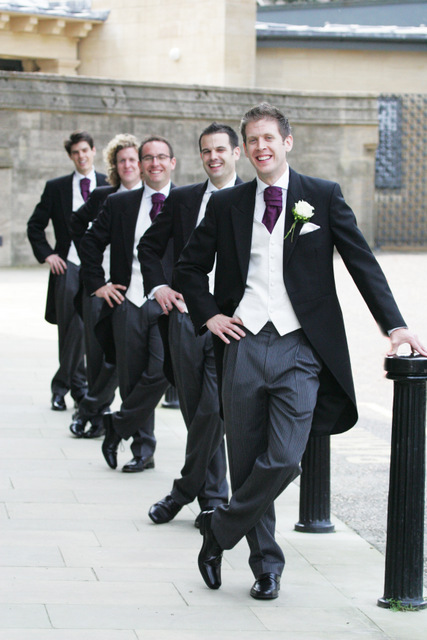 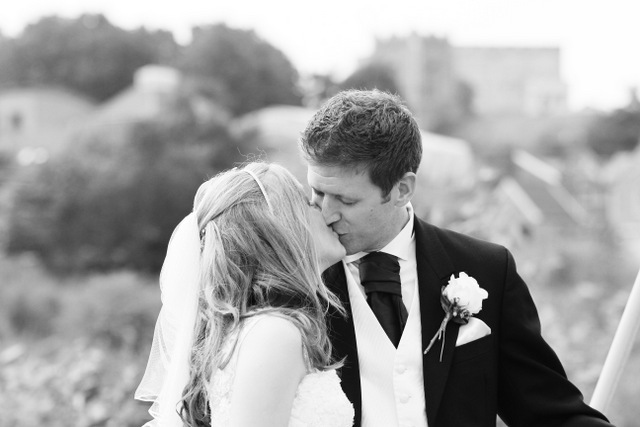 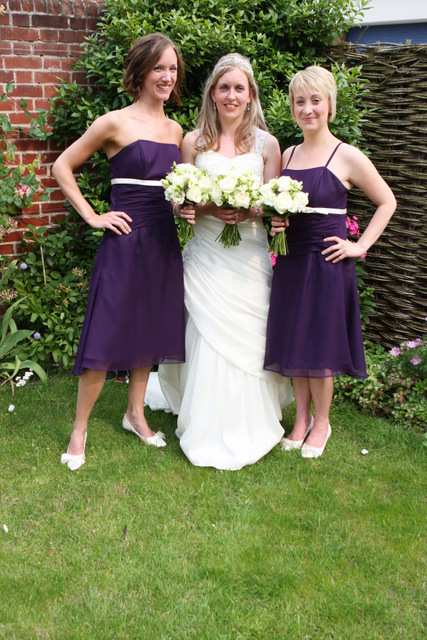 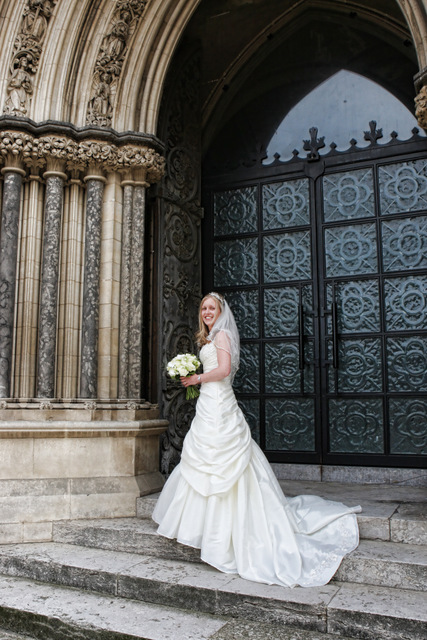 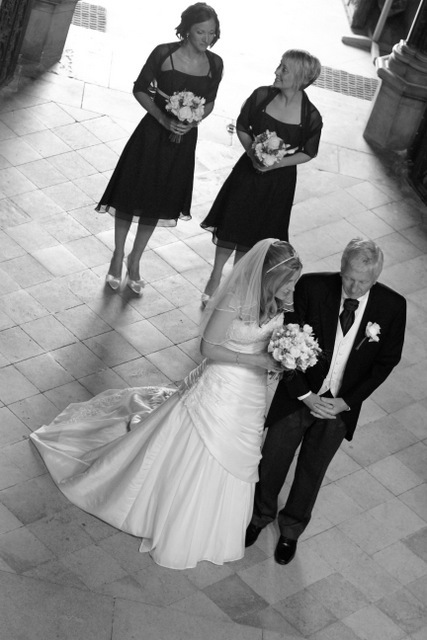 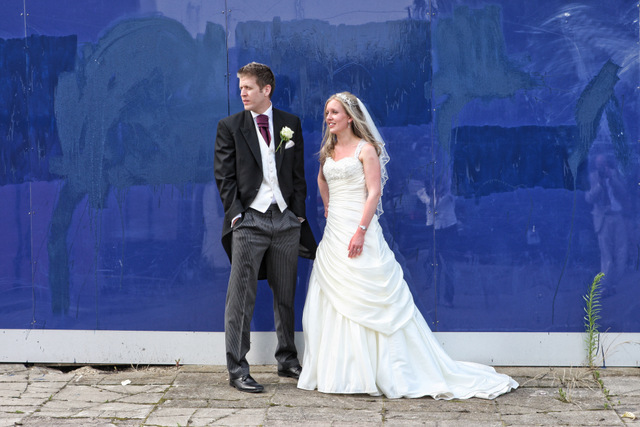 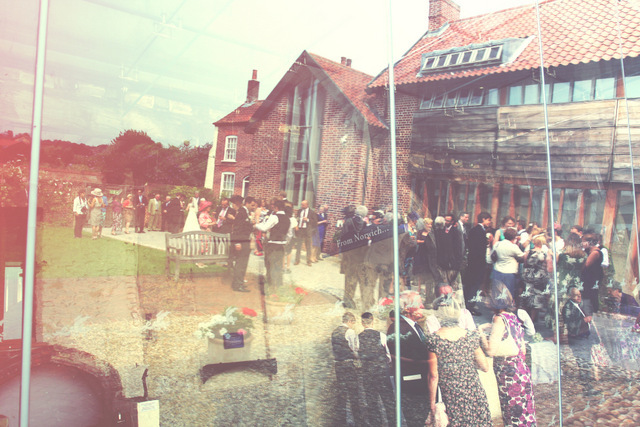 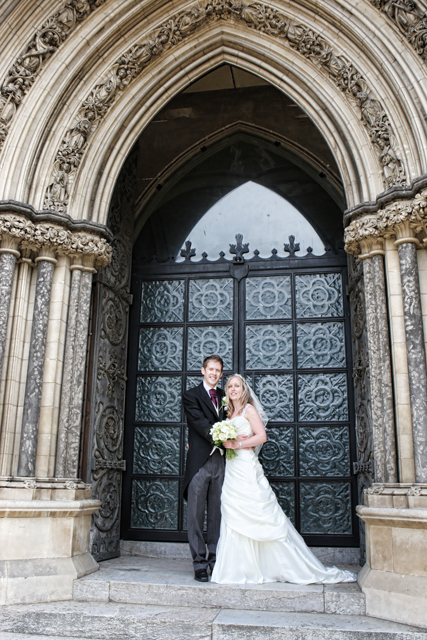 Elizabeth and Scott were married in Norwich on Friday in two of the city’s finest buildings. 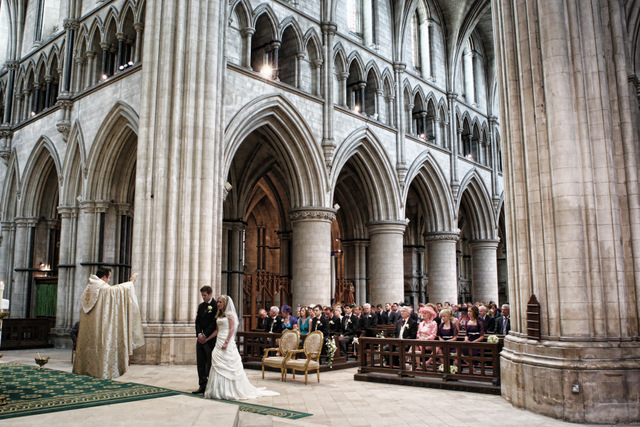 The ceremony took place in the Roman Catholic Cathedral, a vast and awe-inspiring space – I am always amazed when we shoot there how the detail of the Gothic architecture just seems to burst from the images and in some shots looks simply unreal. 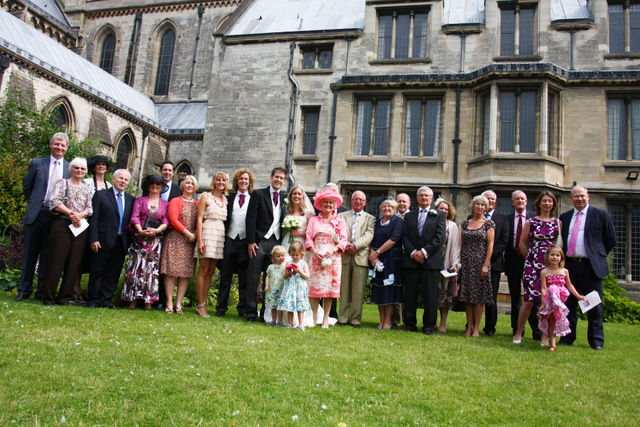 The Cathedral also has some beautiful gardens which, with the building as the backdrop, is a fantastic setting for group shots. 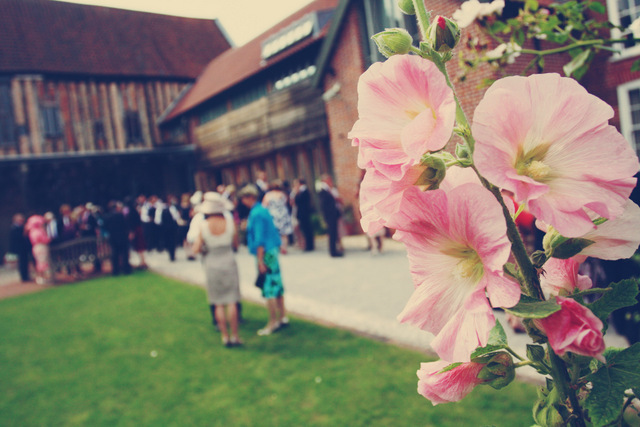 After the service it was off to the reception at Dragon Hall – a unique, Grade 1 listed medieval trading hall dating from around 1430, renowned for its spectacular timber crown-post roof and intricately carved and painted dragon. 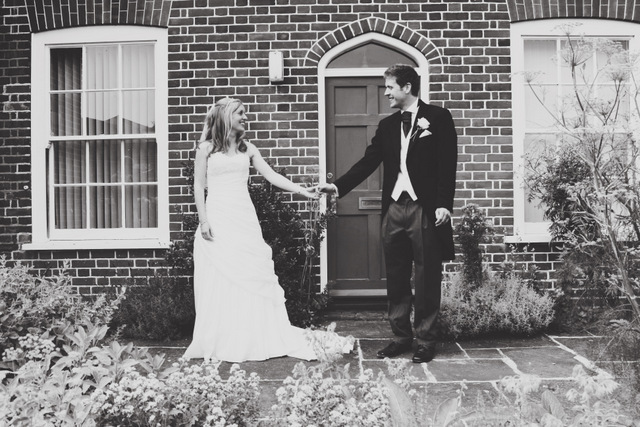 The building also has a pretty courtyard garden where we were able to take lots of informal shots of Elizabeth and Scott and their guests enjoying drinks and canapes. 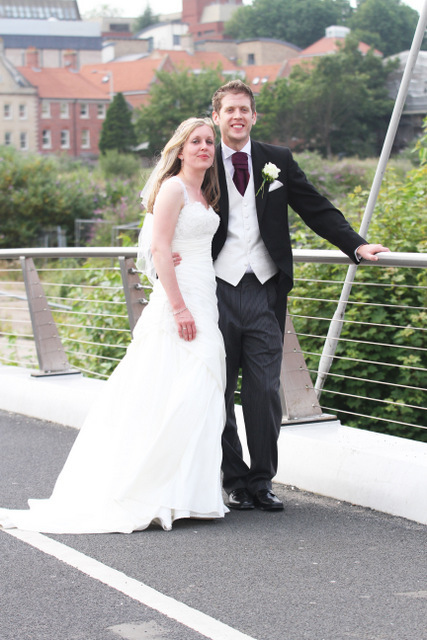 To add a more modern edge to the day we took the couple for a quick stroll outside the venue and across the Norwich Millennium bridge for some more photographs. 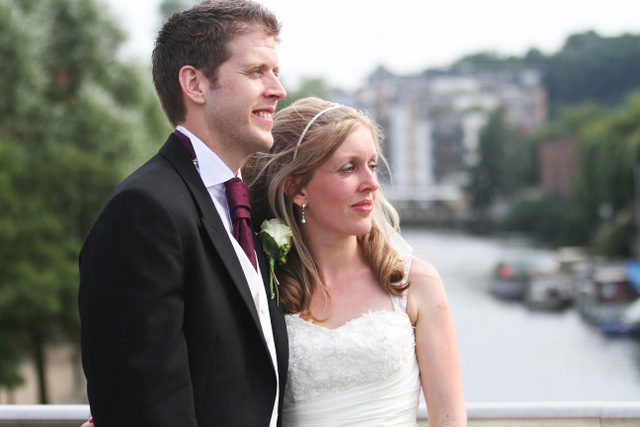 They caused quite a stir amongst the passers-by – many of whom stopped to congratulate them!